Israel fears Europe might abstain or support a resolution that would reject Israeli sovereignty over all of Jerusalem, which UNESCO’s executive board in Paris is likely to vote on at its meeting on Tuesday, diplomatic sources told The Jerusalem Post. Representatives from European nations and Arab states held consultations in Paris on Thursday to agree on a common text for Tuesday’s meeting. If the text has European support, Israel fears it would be more difficult to sway other executive board members to reject that resolution or any other anti-Israel clauses in the text. Israel is concerned that such a text would delegitimize the government of the Jewish state. The main governing bodies – the Knesset, Prime Minister’s Office, Foreign Ministry and Supreme Court – are all located in the capital city of Jerusalem. 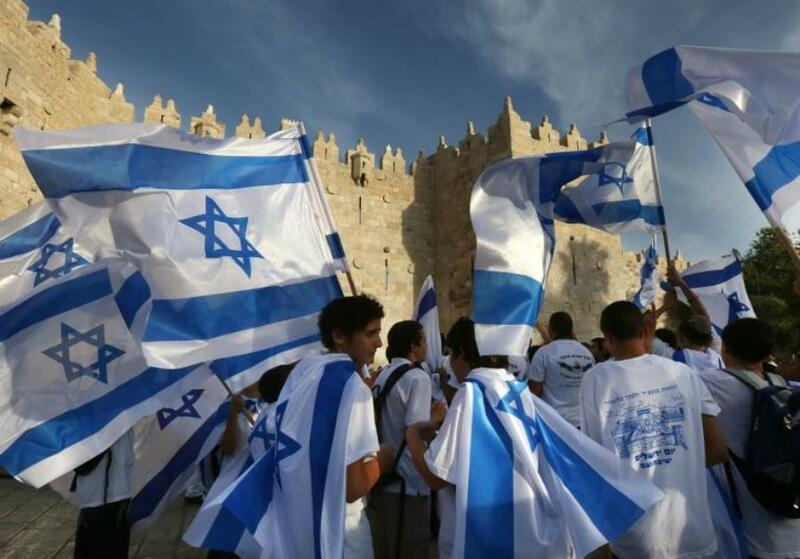 “A significant and active partnership has emerged between the Europeans and the Arabs to design an Arab document that is anti-Israeli and anti-Jewish, that rejects Israeli sovereignty in Jerusalem and harms our holy places,” Israel’s Ambassador to UNESCO in Paris Carmel Shama-Hacohen told the Post. He added that the cynicism of pushing forward such a resolution on Israel’s Independence Day is the kind of tactic one would expect from Arab states, but not European ones. “When more and more nations are moving to Israel’s side, our European friends that intimately know our history, and that of the Jewish people, have decided to join forces with the Arab nations against the State of Israel,” he said. The EU Embassy in Tel Aviv said the EU tries to avoid “bringing broader political conflicts into these discussions. A diplomatic source added that the objective of the European talks with the Arab states was to find language that set a more moderate tone. This text would mark the first time the UNESCO executive has been asked to reject Israeli sovereignty over western Jerusalem, although other UN bodies have used similar language in the past. Eleven of the 54 UNESCO Executive Board members are EU states. This includes: Estonia, France, Great Britain, Germany, Greece, Italy, Lithuania, the Netherlands, Slovenia, Spain and Sweden. The United States is also a board member. It is presumed that the US would oppose the resolution and likely that the UK would do so as well. The resolution comes as President Donald Trump is weighing the question of relocating the US Embassy from Tel Aviv to Jerusalem. The international community is split over recognition of Israeli sovereignty over west Jerusalem, with many countries acknowledging Israel’s governing bodies there without formally accepting its status as part of Israel. Just last week, Russia recognized west Jerusalem as Israel’s capital. It is not, however, a member of the UNESCO board. Such a text would highlight Jerusalem’s tenuous political status in the eyes of the international community, which already places its embassies in Tel Aviv rather than in Israel’s capital. Tuesday’s text is also expected to reaffirm that the Jewish holy sites of the Cave of the Patriarchs in Hebron and Rachel’s Tomb in Bethlehem are “an integral part of Palestine.” Muslims consider both places to be holy to Islam and refer to them as the Ibrahimi Mosque and the Bilal bin Rabah Mosque. Absent from the text is the controversial issue of the Temple Mount. For the last two years, Arab states at UNESCO, backed by the Palestinians, have attempted to reclassify the Jewish holy sites of the Western Wall and the Temple Mount solely by their Muslim names of the Buraq Wall and al-Haram al-Sharif, respectively. It does, however, have a line asking for reaffirmation of past texts referencing the sites only by their Muslims names. Last year, five European countries voted against the resolution ignoring Israel’s ties to the Temple Mount: Britain, Germany, the Netherlands, Estonia and Lithuania, while six European countries abstained. Berlin and Jerusalem have been at odds over the last few months, with Prime Minister Benjamin Netanyahu refusing to meet this week with German Foreign Minister Sigmar Gabriel during his visit to Israel. Netanyahu was upset that Gabriel had met with the left-wing group Breaking the Silence.